WHAT ! ? ! ? Jerry Garcia has been dead for pushing twenty years now and in the meantime, Warren Haynes chose to boldly step into the psychedelic frying pan of being guitarist with The Dead, Phil and Friends, The Phil Lesh Quintet and the Allman Brothers (Not to even mention his efforts with Gov’t Mule and the Warren Haynes band) during roughly that same time span? When the jam band scene took the most damaging hit it could take, the passing of Jerry Garcia, Warren Haynes was there for us. Warrens Haynes’ was not, and is not, trying to be a new Jerry Garcia, Duane Allman or a new anybody. 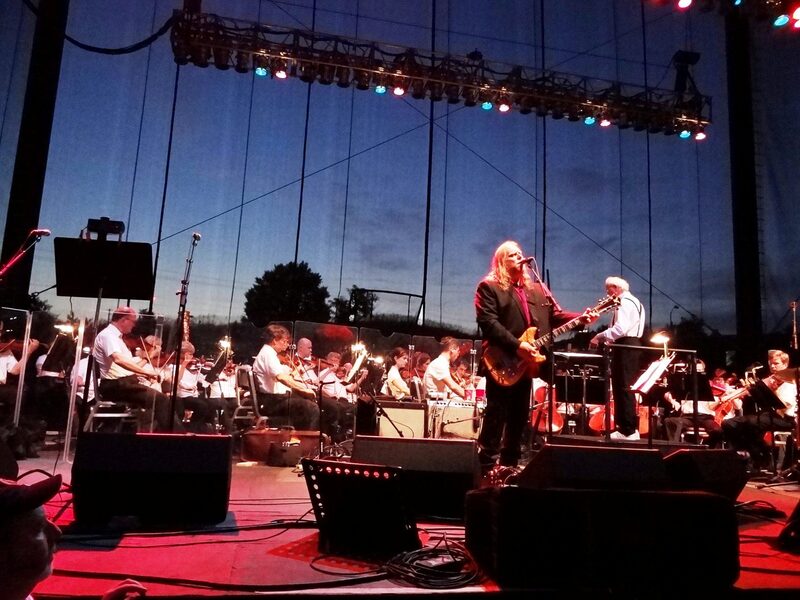 Warren Haynes is just being a musician for the ages and hooking us all up in the process. “Preshiate it Warren ! Before getting too far into this wonderful evening of music from Raleigh, being familiar with the name Robert Hunter is a MUST. 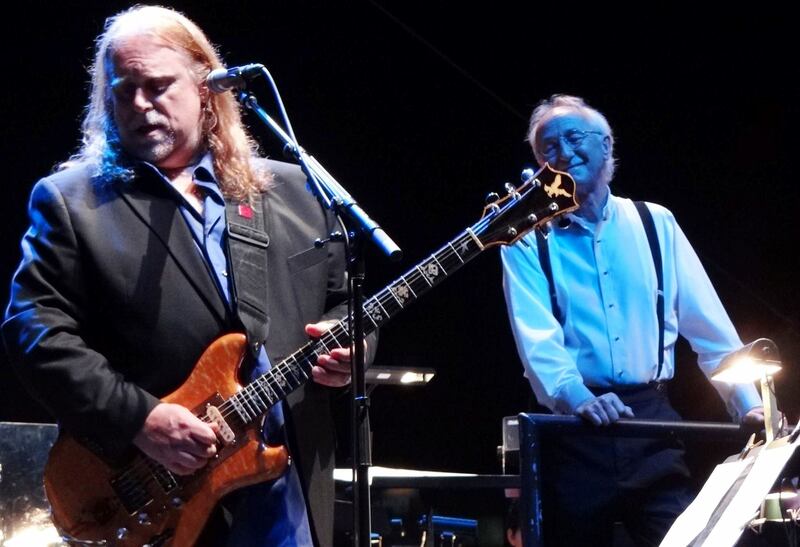 Robert Hunter deserves not only a bone thrown in his direction for his role in this tour but an entire skeleton. Robert Hunter played an undeniable and indelible roll in the success of Jerry Garcia and the Grateful Dead. According to Anthology, the Grateful Dead’s collection of songs in sheet music form, Robert Hunter gets credited with writing the words to every song of the night with the exception of the instrumental Slipknot and Warren Haynes’ personal tribute to Jerry, Patchwork Quilt. Regarding Jerry and these tributes shows Haynes’ stated, “This is a beautiful challenge for me and I’m honored to have been chosen as the first guest artist in what will hopefully become a continuing series.” The challenge of all challenges may have been the decision to include the performance of If I Had The World To Give. A song played only three times during the Grateful Dead’s run was a definite, if not the highlight, of the evening. The song speaks to how all encompassing love can be without any materialistic aspects rearing their ugly heads. A strong case can be made for this song being one of the greatest love songs of all time, for any genre of music. Throw in Jerry and his band mate’s musical talents and the song becomes a spiritual entity rather than just music. The set list for Raleigh was a “Who’s who?” of Grateful Dead “Jerry” songs. The song known as Terrapin Station Part 1 is a collection of three songs. Lady With A Fan, begins with “Let my inspiration flow in token rhymes, suggesting rhythm…” followed with Terrapin Station offering the lyrics, “Inspiration, move me brightly. Light the song with sense and color. Hold away despair. More than this I will not ask. Faced with mysteries dark and vast, statements just seem vain at last. Some rise….” and concluding with At A Siding, which begins with the words, “While you were gone, these faces filled with darkness. The obvious was hidden. With nothing to believe in, the compass always points to Terrapin.” Just so you know. The song that had the biggest symphonic twist of the evening was Uncle John’s Band. While the lyrics and the melody are unmistakable, the delivery of the song was played with a quicker tempo than many Grateful Dead versions. Somewhere between Sergeant Pepper’s and one of Burt Bacharach’s more energetic, easy listening 1970’s compositions, Uncle John’s Band, was cleverly arranged and an absolute joy. China Cat Sunflower’s arrangement actually harkened back to the early days of how the Grateful Dead originally played this tune before someone had the stroke of genius to team this song with I Know You Rider. On this night of such beloved songs undergoing some twists and turns, these two songs that are so tightly associated with their counterpart songs, Scarlet Begonias paving the way for Fire On The Mountain and China Cat Sunflower being known to rarely make a move without first checking with I Know You Rider, were special treats to hear standing on their own. Warren shared with the crowd that the concept for this tour came about easily enough. 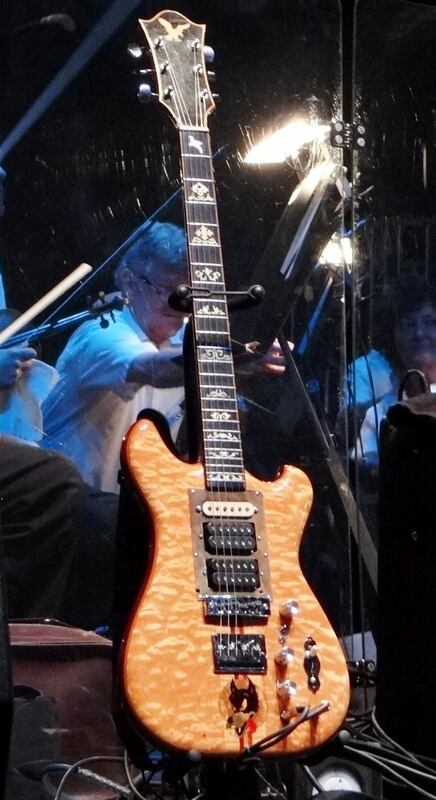 Jerry’s family had the idea of hearing Warren’s takes on these classic songs with Warren playing Jerry’s prized guitar, “Wolf”. As eagerly as Warren took the challenge, the members of North Carolina Symphony were every bit as enthusiastic with this opportunity of a summer, if not a lifetime. 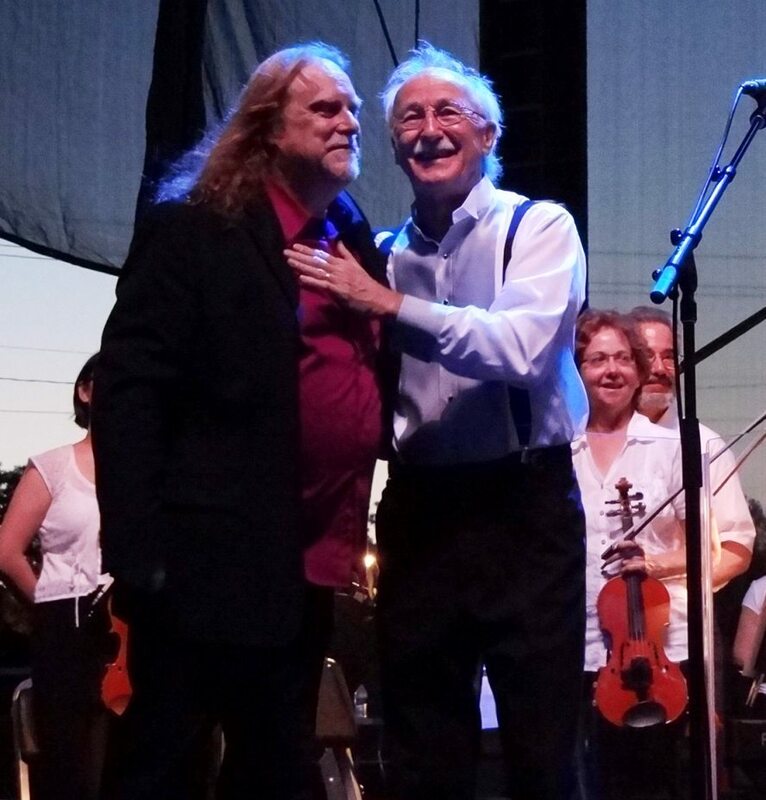 Warren and the conductor often exchanged laughs and back pats as they rolled away the set list. Smiles were easy to see throughout the members of the symphony as the evening’s magic enchanted all within earshot of the event. The symphony members and Warren’s electric band shared the evening by acknowledging each other with head nods and glances to make sure the compass always pointed to, you guessed it, Terrapin! While the imaginations and talents of a bunch of free wheeling musical spirits from 1960s California in combination with the modern day preciseness and detailed performances of a 2010’s symphony may seem to make for strange bedfellows, it more than worked. Think the Grateful Dead, and Robert Hunter, meets the Beatles' Sergeant Pepper’s Lonely Hearts Club Band album. With each song, thanks to the North Carolina Symphony’s strings, woodwinds, brass and the percussion instruments rarely heard with Rock & Roll bands, everyone in attendance (except those that were fiddling around on their cell phones or carrying on loudly with their neighbors) got turned on to an evening of music that will always have a special place in their heart. Each song was similar to a child’s first experience of capturing a lightning bug and slooooooowly opening their hands to peek and be amazed by the lightning bug’s glow. Beyond Warren and Wolf “glowing” off on their own with songs including Bird Song, Shakedown Street, Standing On The Moon, Mission In The Rain, Black Peter, Stella Blue, If I Had The World To Give, Morning Dew, High Time, West L.A. Fadeaway, Warren did have a band just for the occasion. The rhythm section was made up of long-time collaborator Jeff Sipe on drums, Lincoln Schleifer on bass and two ladies that deserve a great deal of credit in making this tour so special. Alecia Chakour, of late with the Warren Haynes Band and Jasmine Muhammad of the Pittsburgh Opera, added a happily haunting, joyful and soul grabbing sound that must be heard to be fully appreciated. Throughout the night, these ladies provided an angelic accompaniment by balancing out the powerfully high howl’s of “Wolf” with their soft and soothing vocals. Alecia and Jasmine did Donna Jean Godchaux, Jaclyn LaBranch and Gloria Jones more than proud. 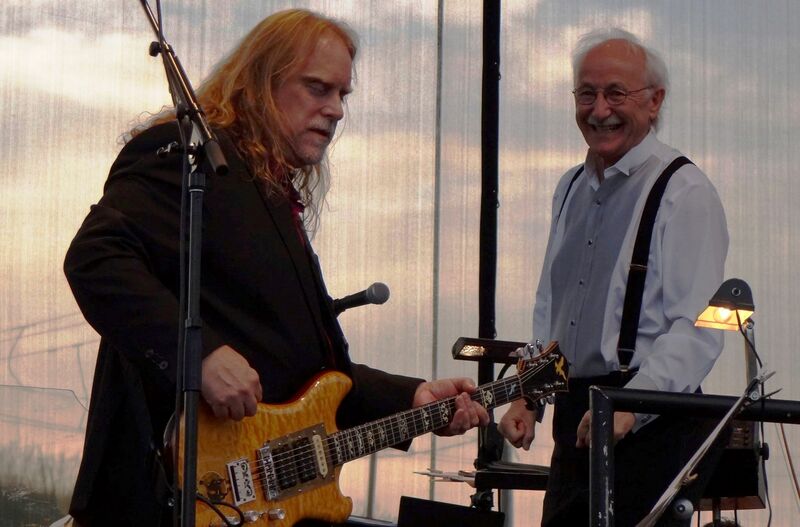 These Warren Haynes and Friends (Symphonic and Electric) Jerry Garcia (& Robert Hunter) Tribute Shows are on hold until the Gov't Mule tour finishes up in Europe. Look for these shows to resume towards the end of July, west of the Mississippi. Robert Hunter, THE lyricist that helped make these songs and this tour happen, will be on tour this autumn in venues near New York City and beyond. Since we are all bound to cover just a little more ground, try to make sure the ground you cover in your 2013 personal tour includes these shows.